The U.S. Supreme Court is going to hear arguments today in a major First Amendment case that involves abortion. On one side are self-identified crisis pregnancy centers that seek to prevent abortions. And on the other side is the state of California. The state enacted a law to ensure that these centers do not intentionally or unintentionally mislead the women who walk through their doors. NPR legal affairs correspondent Nina Totenberg reports. XAVIER BECERRA: We're simply trying to make sure the recipient of health care information or advice understands exactly what he or she is entitled to in terms of services and that the information is accurate. TOTENBERG: That's not how anti-abortion pregnancy centers see the law. They see it as compelled speech, unconstitutional because it turns them into mouthpieces for a government message they disagree with. Here's lawyer Kristen Waggoner. KRISTEN WAGGONER: It is requiring a licensed center that complies with all of the obligations of the state, that is pro-life and wants to help women choose life point the way to an abortion. That is not simply information. TOTENBERG: And as for unlicensed centers, she sees no reason they should be forced to disclose that they have no license or medical personnel in charge. WAGGONER: They're not doing anything that requires a license, so why would they need to say that? TOTENBERG: There are plenty of good reasons, replies Nancy Northup, president and CEO of the Center for Reproductive Rights. NANCY NORTHUP: There has been an explosion of these fake health clinics that mislead women in ways that are very troubling and, in some cases, dangerous to their health. TOTENBERG: There are, in fact, 2,700 anti-abortion pregnancy centers, more than three times the number of clinics that provide abortions. There's no data for how many of the 2,700 are unlicensed. But unlicensed clinics do offer pregnancy tests, limited ultrasounds, and to an unskeptical eye, they can look very much like a licensed medical facility. The personnel wear surgical scrubs or white coats. Patients are asked to fill out medical history questionnaires. Indeed, some clinics locate next door to abortion clinics, leading women seeking abortions to often go to the wrong place. I asked Kristen Waggoner whether those location choices are deliberate. WAGGONER: I sure hope so because women should have both options, and they shouldn't see only a provider that has a financial incentive to get them to abort a child. 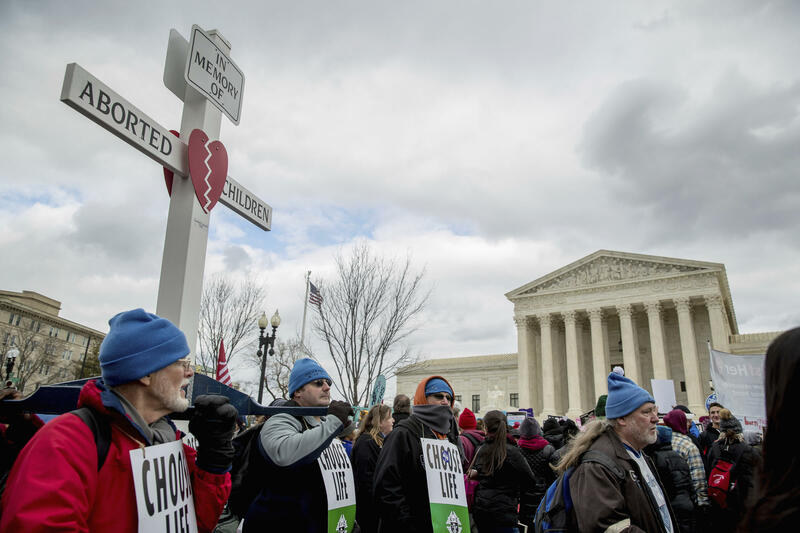 TOTENBERG: Other abortion opponents seem to openly advocate deception. Jacob Hall is director of client services for an anti-abortion group of clinics called Care Net. At a recent conference, he advised pregnancy centers how to use search engines to identify keywords for use in marketing and on websites so as to attract women seeking abortions. JACOB HALL: I know abortion pill is something that people are searching. Abortion clinic, abortion clinic near me, abortion cost - fantastic keywords if those phrases are on your website. If they're not, easy - just add them in. Somehow finesse a way to say, we're here to talk to you about abortion, including abortion pills and abortion surgery. BRIAN FISHER: The abortion-determined woman will not walk into a pregnancy center voluntarily. ANNIE FILKOWSKI: She said, birth control causes infertility and can give you cancer - just a lot of really crazy things. TOTENBERG: Dartricia Walker says she went to a clinic for a pregnancy she very much wanted. She mistakenly thought it was a medically licensed facility and that the person who conducted the ultrasound was a nurse. Neither was true, and she had a miscarriage that a doctor later told her might have been avoided. DARTRICIA WALKER: I was really upset that I had been given the wrong date because if I had known that I was due sooner, I would've gone sooner to an OB-GYN. 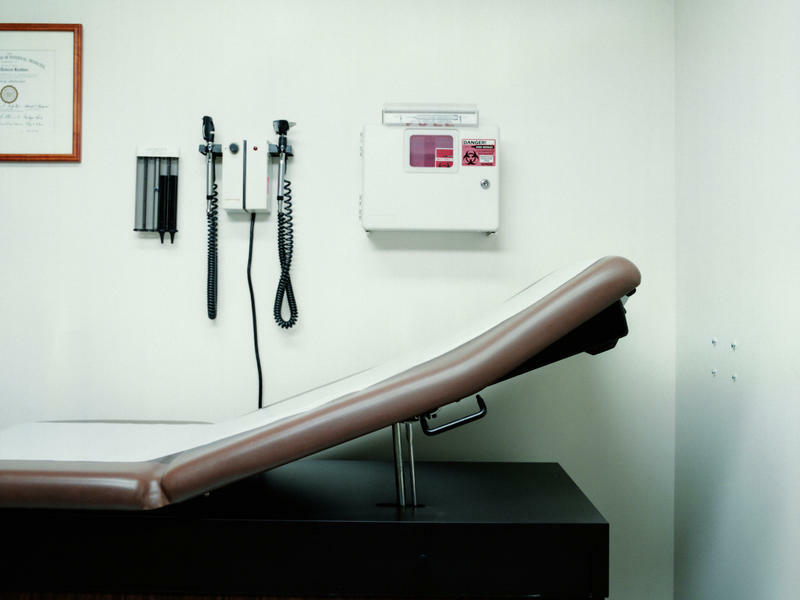 TOTENBERG: Of course, there are excellent clinics that oppose abortion, too. Christine Vatuone is director of Informed Choices, a licensed clinic in California that opposes abortion. It has a staff of five, including two nurses, plus a volunteer OB-GYN who supervises medical procedures and 20 other volunteers. She says that all the patients are clearly told that they have three options - abortion, adoption and parenting - and that every room in the center has a sign with five promises. CHRISTINE VATUONE: That we will treat them with respect, that we will protect their privacy, that we will not pressure them, that we will support them and that we will not lie to them. LAURA WU: It just gave me that push to let me know that I can do this. It is possible for me to do this alone. 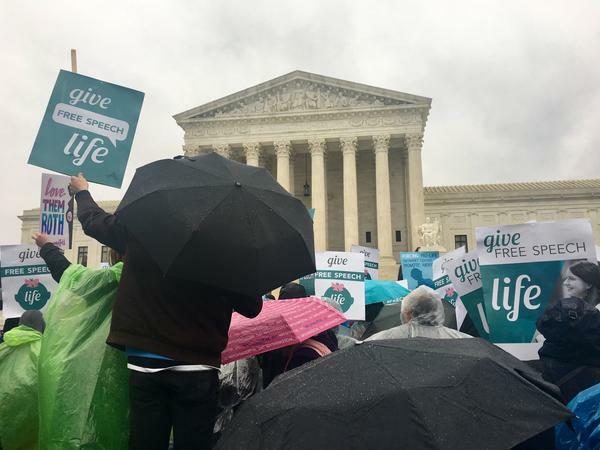 TOTENBERG: Passions run high when it comes to abortion and what supporters of the California law call nothing more than truth in advertising. Add the fact that most anti-abortion pregnancy centers have a firm Christian perspective, and you have quite a volatile mix. But even the aggressively anti-abortion Trump administration is supporting the part of the California law that requires unlicensed clinics to say that they are not licensed medical facilities. Nina Totenberg, NPR News, Washington. (SOUNDBITE OF THE SOUL'S RELEASE'S "RAIN AT DUSK") Transcript provided by NPR, Copyright NPR. Anti-abortion-rights activists who gathered at the National Mall for the 45th annual rally known as the March for Life heard a history-making address from the man who has become an unlikely champion of their cause: President Trump. 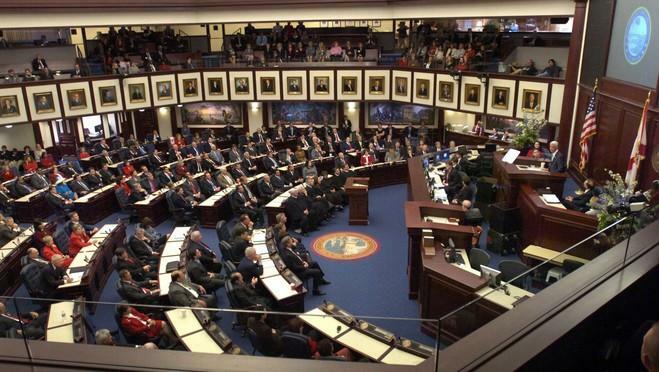 Florida may agree to permanently fund anti-abortion pregnancy centers under a bill passed by the Republican-led House.